*CANCELED/WE ARE CURRENTLY RESCHEDULING* Laura Deierlein from SPROUTwide Global and Jean Schtokal from FosterSwift will prepare you for your upcoming travels to meet new clients. Topics will include: Market Evaluation, Choosing A Show, Fit, Strategic Partnerships, Knowing Your Numbers, Timelines for Success, Legal Compliance Issues, & Intellectual Property Protections. All attendees will be presented with a work-booklet to help them develop a strategic plan for identifying and approaching international trade shows. Our luncheon keynote will be presented by the 2018 Michigan Agricultural Exporter of the Year, Dr. John's Healthy Sweets. Dr. John's has found export success globally, with a focus on Asian markets, and will share their experience expanding globally. You have just seconds to get someone's attention, and perhaps minutes to win them over to your way of thinking. Whether you are attempting to get an investor's attention or convince a potential customer or overseas partner to give you a second look, your business pitch is everything. This half-day workshop will get you there. Our keynote speaker and facilitator Neil Sheridan is a researcher, adviser and speaker on organizational and business growth, and regularly conducts extensive trainings for businesses and entrepreneurs to prepare them for pitch competitions. Neil is President of SVPI, LLC, a Michigan advisory and management corporation active internationally. This event was so successful in 2017 we felt we needed to bring it back! Defense industry sales can be lucrative; however, companies selling to the industry have additional concerns. This seminar will discuss where to find and bid on potential contracts, and what to consider before opening discussions with potential partners or attending industry trade shows. The program will terminate with a reception and time for questions and open networking. Estimating manufacturing costs as well as final costs to your customers are particularly difficult these days. Join us to hear about the current tariff situation, what's expected in the near-term, and how to best plan. John Stewart is a supply chain consultant at Supply Chain Solutions, based in West Michigan. 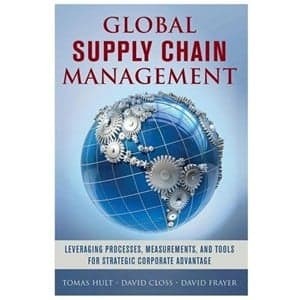 Since 2004, he has helped client teams to design and implement supply chain process improvements in manufacturing, food, retail, publishing, distribution, agriculture, and third-party logistics. Prior to consulting, John spent 18 years as a practitioner, where he honed his skills as a line manager and project manager in both international and domestic supply chain. He managed trade and logistics in manufacturing and retail, and began his career as an import entry-writer for a customshouse broker in Chicago. Who should attend: Those involved in purchasing and sales, beginning and advanced exporters and importers, and anyone interested in the implications of the current tariff situation on the U.S. and global economy. 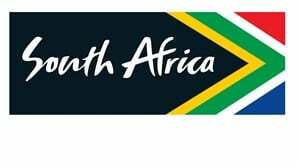 Ms. Phumzile Mazibuko was appointed Consul General at the South African Consulate General in Chicago in January of this year. 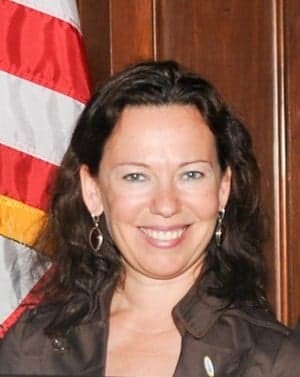 As consul General, she works to promote trade and investments and enhance cooperation in the field of arts, culture, education, and effectively render consular services to South Africans in 14 states in the Midwest region of the United States. 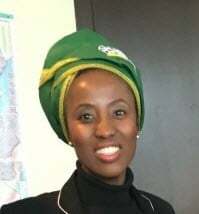 Prior to this post, she was Chief of Staff for the Department of International Relations and Cooperation of South Africa. Ms. Mazibuko has been working though her professional career to further business relationships between South Africa and its trading partners. She holds a Bachelor of Arts from the University of Johannesburg. Joining Consul Mazibuko is South African Consul Political Mr. Thabo Seotlo. Consul Seotlo is also a career diplomat, spending the past decade serving South African interests around the world. Those interested in setting up a private meeting with M. Mazibuko should contact Jade Sims at sims@broad.msu.edu for a time. India is our 9th largest goods trading partner with $67.7 billion in total (two way) goods trade during 2016. Has your company considered the opportunities? Shantanu Sarkar is a U.S. Commercial Assistant based in Kolkata, India. 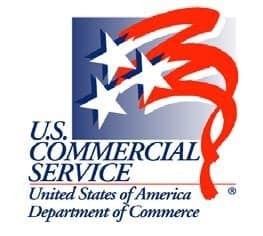 As the Commercial Advisor in the U.S. International Trade Administration's Commercial Services team, he works with U.S. businesses to help them enter and navigate the Indian market. Mr. Sarkar joined the U.S. Commerical Service in 2008 and is responsible for the development of U.S. trade and business in Eastern India and adjoining Bangladesh. Mr. Sarkar has over seventeen years of diverse professional experience in the field of marketing, business development, and operations. he is part of several important commercial initiatives to support the emerging economic partnership between the U.S. and India, and is the team lead in India for the mining and industrial materials sectors. Mr. Sarkar will present on opportunities and challenges for U.S. businesses entering the Indian market. Companies interested in one-on-one meetings with Mr. Sarkar should email sims@broad.msu.edu to arrange a time. 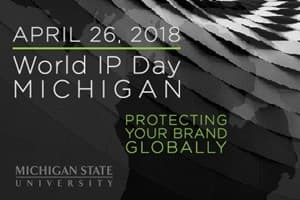 The Center for Anti-Counterfeiting and Product Protection (A-CAPP) and Global Business Club of Mid-Michigan (GB Club) are pleased to present the 1st Annual World IP Day Michigan: Protecting Your Brand Globally. 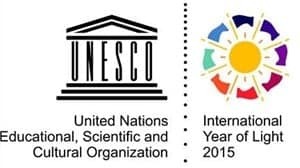 World IP day is celebrated every year on April 26 in order to remember the role that intellectual property rights (patents, trademarks, industrial designs, copyright) play in encouraging innovation and creativity. Join us for a half day interactive program discussing how Michigan companies can play in a vital role in the world economy and share their best practices on how they protect their intellectual property. Our three panels will focus on: Packaging Challenges & Opportunities, IP Issues in E-Commerce, and Emerging Markets: Best practices for IP issues. We will finish our program with a networking lunch. Check our agenda for updated speakers list as they are confirmed. Who should attend: businesses, policy makers, academics, and students interested in learning how to protect intellectual property while growing globally in an ever-more connected world. Our morning seminar will focus on the topic of Global Branding; we will explore methods for presenting a consistent brand while tailoring the message to best reach global audiences with unique preferences in the ways they are reached. 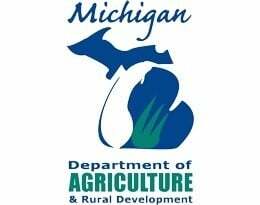 Our luncheon keynote will be presented by brand owners of The Gluten Free Bar, the Michigan Department of Agriculture and Rural Development's (MDARD) first-ever recipient of the 2017 Michigan export “Rising Star Award.” The “Rising Star Award” was created to recognize a company that is new to exporting or is just starting to increase their exports into one or more countries. “The Gluten Free Bar sets a great example for other small- and medium-sized companies as to the opportunities exports provide in generating more sales and growth for a company,” said Jamie Clover Adams, MDARD Director. “Exports are critical to the Michigan food and agriculture economy, and companies like The Gluten Free Bar are a vital part of the growth.” Join us to find out how they're growing the company through exporting, network with growers and food processors, and learn the ins-and-outs of achieving global success! This event will cover the basic concepts in exporting--from doing research to select your target market, how to best take advantage of international trade shows, and method of entry to the logistics and legalities of shipping your product overseas and getting paid. This session will offer a wealth of information to those considering or new to exporting, as well as some tips and ideas for those already in the export game. A portion of the morning will include group discussion, as well as time for questions and answers. Jade Sims, Trade Specialist at the MSU International Business Center, will lead the morning program. Our luncheon keynote will be provided by Kendra Kuo, Director of the US Export Assistance Center in Grand Rapids, Michigan. She has spent most of her career helping Michigan companies grow their sales by connecting them to booming international markets. You have just seconds to get someone's attention, and perhaps minutes to win them over to your way of thinking. Whether you are attempting to get an investor's attention or convince a potential customer or overseas partner to give you a second look, your business pitch is everything. This half-day workshop will get you there. Our keynote speaker and facilitator Neil Sheridan is a researcher, adviser and speaker on organizational and business growth, and regularly conducts extensive trainings for businesses and entrepreneurs to prepare them for pitch competitions. Neil is President of SVPI, LLC, a Michigan advisory and management corporation active internationally. SVPI assists clients with strategy, valuation, performance, and innovation initiatives. Neil speaks internationally on strategy and innovation leadership as a keynoter, moderator or panelist. The Private Sector Forum will focus on partnership among US and African private sector actors, African Universities and MSU leadership towards enhancing investment with positive impact for Africa’s future. This panel program will be followed by an interactive question and answer session. Join us for this conversation on doing business with the Chinese. While the explicit practices of doing business internationally can be easily learned, understanding the cultural side is much more complex. Professor Chen will discuss why gift exchange is essential to develop interpersonal guanxi (interpersonal cultural practices that facilitate business) in the Chinese context, and the steps involved in developing and maintaining high quality relationships in China. Professor Farh will discuss the strengths and weaknesses of paternalistic leadership and share personal insights of when this leadership style is practiced in Chinese society. E-commerce is transforming business & trade. Are you best taking advantage of the opportunities it brings? This panel presentation is suitable for all levels of ecommerce experience & will answer the following questions: •	How do I decide which platforms (Amazon, Etsy, Ebay, etc.) are the best for my products? •	How do I make sure that my website is optimized for searches by international buyers? •	How do I get paid & how do I set that up online? •	What do I need to think about to create a successful e-commerce strategy? •	How is the best way to ship my products & how much does it cost? •	What are the common problems and solutions that other businesses experience? A special thank you to FosterSwift Law Firm for their generous sponsorship of this event. Export regulations have changed, and will continue to change. Are you up to date? Do you know what your company needs to do to be compliant? Does your product require an export license? How do you know? Where can you check? The regulations have changed, do you know which government agencies oversee export controls? Karen will discuss US Export Administration Regulations and how to find out if your product or technology requires a license for export. She will address the new "600 series" and how Export Control Reform can affect your company. Whether or not your product or technology requires an export license, restricted party screening is something every company needs to do. Do you conduct OFAC screening? We will discuss compliance visits from the government, and export enforcement including compliance best practices in light of changing regulations. Do you know what your company should be doing to steer clear of violations? Dan Klutch, Special Agent-in-Charge, Office of Export Enforcement (BIS) will discuss what happens when regulations are violated. Jean Schtokal, international trade attorney with Foster Swift will discuss OFAC regulations and screening. Time will be allotted for questions. From the President and CEO to the shipping clerk, everyone is responsible for compliance with regulations. This workshop is ideal for current exporters, as well as new exporters. We will highlight the top 6 things companies should be doing right now in light of the new and changing regulatory environment. Hear from experts in the field and experienced exporters about how to perform background checks and verify potential customer fit. We will discuss due diligence in choosing a partner as well as ways of insuring shipments for all types of potential risk. Prof. Awokuse of the Department of Agricultural, Food, and Resource Economics is our luncheon keynote speaker, he will address where to look for the best opportunities for Michigan agricultural exports. $35 registration fee includes lunch. ***PLEASE DO NOT REGISTER ON THIS WEBSITE: GO TO https://mimfg.org/Membership/MyMMA/EventDetails.aspx?MeetingId=%7B060A96B3-1C9D-E611-A5C2-0050569C00A7%7D *** Ninety-five percent of the world’s population and 75 percent of its wealth is located outside the United States. Manufacturers that choose to export can capitalize on that tremendous purchasing power. Are you ready to grow your business? Join manufacturers from across Michigan for a special two-hour seminar on Tuesday, 12/13/16, from experts at Michigan State’s International Business Center. Attendees will learn: • How to get started • The top benefits found in international trade • How to develop a winning export plan • Risk analysis and market research techniques to find the right location for their business • Answers to common questions on logistics and financing • The ins and outs of regulatory compliance overseas • Local, statewide and national resources to help them succeed Is your brand ready to be a global brand? Make sure you’re in the room for this can’t-miss seminar! Laura has 25+ years of international business experience, including marketing, product development, and trade partnerships. Ten years of hands-on business activity in China, Taiwan, and Hong Kong gave Laura an early appreciation for the value of cultural respect and doing business in foreign markets. The next ten years shifted from consumer goods toward a focus on trade compliance and international logistics. Taking on multiple positions within her corporate career, she was also responsible for deepening relationships with branch offices in Brazil and the Netherlands. Starting in 2011, Laura served the State of Michigan for four years as a consulting advocate for international trade and economic development. Laura has been on the forefront of developing and leading Michigan businesses on trade missions all over the world. Currently owning and operating SPROUTwide LLC, Laura is helping businesses develop international footprints and assisting them in increasing international expertise. Laura holds a degree from Central Michigan University and is a NASBITE Certified Global Business Professional. This program is offered in colaboration with Ann Arbor SPARK and the Small Business Development Center. 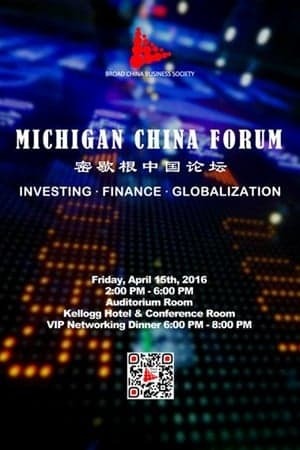 2016 Michigan China Forum is hosted and organized by Broad China Business Society (BCBS), and is sponsored by the Global Business Club. The event will feature six guest speakers from Morgan Stanley, Deloitte, Lodging Capitals, Steelcase Inc., Domino's Pizza International, Inc., and other organizations to present and share with us about their investing strategies, business insights, global business experience and financial knowledge. Industry professionals, students, and faculty are invited to join the discussion related to industry trends, current issues and unique opinions. Please go to http://www.msubcbs.org/2016-michigan-china.html for registration and more information. This event will cover the basic concepts in exporting--from doing research to select your target market, how to best take advantage of international trade shows, and method of entry to the logistics and legalities of shipping your product overseas and getting paid. This session will offer a wealth of information to those considering or new to exporting, as well as some tips and ideas for those already in the export game. A portion of the morning will include group discussion, as well as time for questions and answers. Jade Sims, Trade Specialist at the MSU International Business Center, will lead the morning program. 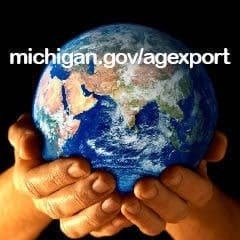 Zara Smith, Export Program Manager at Michigan Small Business Development Center, will focus on the export assistance offered by SBDC to its clients, most notably the search engine optimization (SEO) services and other helpful information for selling online. Our luncheon keynote will be provided by Elena Stegemann, Director of International Business at NuStep, a fast-growing exercise equipment company with outstanding international success. Star of the West Milling Co. achieved an impressive 27 percent growth in export sales from 2013-2014, one of the reasons it has been recognized as Michigan Agricultural Exporter of the Year for 2015. The company exports to Canada, Mexico, Guatemala, Jamaica, Japan, Malta, and South Korea. Most recently they expanded export activity into Italy, South Africa, and Columbia. 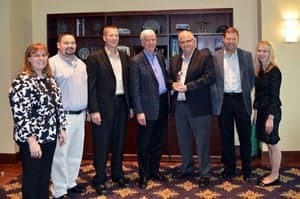 “Star of the West is pleased to be recognized with the 2015 Michigan Agriculture Exporter of the Year award,” said Star of the West president Arthur Loeffler. “This award is a reflection of the Star’s commitment to partner with food producers and processors to provide quality flour, edible soybeans and dry edible bean products to help feed the world.” Register for our morning program to listento and discuss a variety of export topics with experienced businesspersons and stay for lunch to hear from Star of the West and how they've achieved export success! 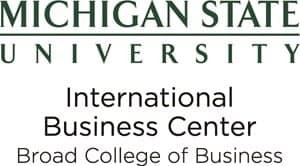 This reception-style event will offer the opportunity to learn more about hiring MSU students that have the language skills and cultural insights in order to help you successfully bring your business into new international markets. We will discuss the benefits and processes of interns as well as long-term hires. A panel of business persons and students will discuss their experiences working together and answer your questions. 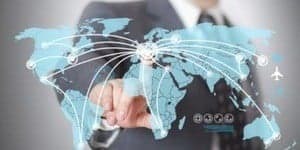 Most companies engaging in the global marketplace assume that they should globalize at least certain parts of their strategy and organization. But globalizing, in the sense of spreading activities around the globe, is not enough. 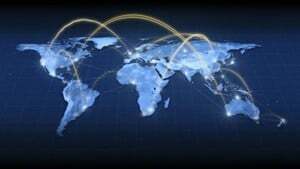 Companies also need to be globally integrated and coordinated, which means that they need to use globally coherent strategies, operate global networks, and maximize profits on a global basis. Global Business Club is pleased to present our April program in conjunction with the MSU Executive MBA program. This day-long program will bring together industry experts and businesspersons of global expertise to explore global strategies for success utilized by firms of all sizes. This will be a must-attend event; space is limited. 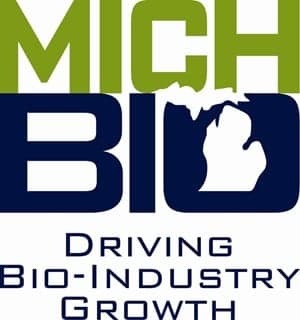 The Global Business Club of Mid-Michigan is proud to offer its first program in conjunction with MichBio, focusing on the opportunities and unique considerations for exporting medical devices around the globe. This event will cover an overview of the medical device industry, different approaches to market entry, and regulatory and supply chain issues. In addition, a panel of global businesspersons will discuss their experiences selling internationally. This event is for new and experienced exporters, as well as anyone with an interest in the industry from an international standpoint. Note that this is an afternoon program; cocktail reception for participants is 5-6pm. 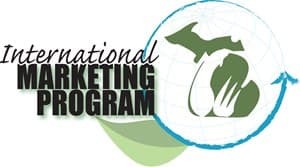 The Global Business Club is again pleased to announce its partnership with Michigan Department of Agriculture & Rural Development's International Marketing Program. This program offers a full morning of presentations on topics in exporting--applicable to all companies interested in expanding overseas, with a special focus on issues important to agricultural companies. Our luncheon speaker is Steven Cooper, the COO and General Manager of Continental Dairy Facilities LLC. Continental Dairy is the winner of the 2014 Michigan Agricultural Exporter of the Year award. Africa is home to 6 of the top 10 fastest growing countries in the world; has your business considered this amazing opportunity? Opportunities exist across industries--including all levels of agriculture, aerospace, energy, transportation/infrastructure, and education--among others. Join us for this candid assessment of opportunities and risks in the region. Speakers include U.S. Department of Commerce Export Assistance Center Director Kendra Kuo (Grand Rapids) and a panel of businesspersons experienced in the region, as well as MSU professors with extensive research and experience in Africa. This event is ideal for new and experienced exporters, as well as anyone interested in finding out more about the region. Michigan's Andrew S. Doctoroff – Governor’s Office, senior advisor – will inform and captivate the keynote luncheon audience with “Michigan’s Transformation in Growing World Trade,” detailing the State’s current trailblazing initiatives to advance international trade and supply chain infrastructure to benefit all in Michigan. A special focus will be placed on the State's recent initiatives that take advantage of our geographic, educational, and industry strengths to move the regional economy forward. Note that you should only register here if you are unable to participate in the rest of the conference events. If you plan to participate in the Port Lansing 2014 Global Logistics Conference, you should register at http://www.portlansing.com/conference/ This luncheon is included with full conference registration. Mexico vs China: Where is Your Next Big Opportunity? Are you up-to-date? Export control regulations have changed, and your company needs to be compliant. Does your product require an export license? How do you know? Where can you check? Which government office oversees this, and who can you contact with concerns? Our guest speakers include Karen di Benedetto, Senior Export Compliance Specialist, Bureau of Industry & Security and Ron Orzel, Special Agent-in-Charge, Office of Export Enforcement (BIS). Karen and Ron will walk you through the changes to the old regulations and show you how to comply with the new. Time will be allotted for questions. From the President and CEO to the shipping clerk, everyone is responsible for compliance with regulations. This workshop is ideal for current exporters as well as new exporters. Connor Sports has been milling wood for its sports flooring from Michigan's upper peninsula for over 100 years. 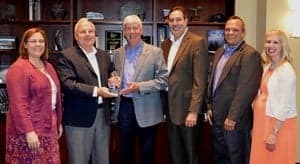 The company was recognized by the Michigan Department of Agriculture and Rural Development (MDARD) as "Michigan Agriculture Exporter of the Year" for its consistent commitment to serving customers in 40 plus countries on six continents. Join us for our morning program to hear about concrete steps you can take to make your business successful on the export market, and stay for lunch to hear how Connor Sports has achieved higher sales, market diversification, and significant employee growth as well. CANCELED: Mexico vs. China: Where is Your Next Big Opportunity? THIS EVENT HAS BEEN CANCELED AND WILL BE RE-SCHEDULED IN 2014While NAFTA opened the doors to increased opportunities south of the U.S. boarder, the ensuing rise of China to a global economic powerhouse pulled our attention and economic focus across the Pacific. However, recent events (a rise in Chinese wages and tighter turnaround deadlines) have led U.S. businesses to reconsider Mexico, in spite of some of its own issues (violence and drug-related crimes). Given limited resources, many companies are asking themselves: Which country marks our best opportunity? This seminar will provide you with the information to answer that question for your company. Our keynote speaker, Al Zapanta, has worked in both the private and government sectors, and has held numerous Presidential appointments, as well as leading peacekeeping missions with the United Nations. Dr. Zapanta will cover the latest issues and trends for U.S. companies doing business in Mexico, as well as highlighting the latest opportunities. Our morning event will cover the basic concepts in exporting--from doing market research to select your target market and method of entry to the logistics and legalities of shipping your product overseas and getting paid. This session will offer a wealth of information to those considering or new to exporting, as well as some tips and ideas for those already in the export game. A portion of the morning will include group discussion, as well as time for questions and answers. Our luncheon keynote, John Toles, has dedicated his entire career to international trade, spending the past year as the founding director of the Detroit Regional Office of the Export-Import Bank of the United States. Ex-Im Bank provides working capital guarantees (pre-export financing); export credit insurance; and loan guarantees and direct loans. These services enable U.S. companies — large and small — to turn export opportunities into real sales that help to maintain and create U.S. jobs and contribute to a stronger national economy. Prior to joining ExIm, John was managing partner and founder of Supply Chain Shipping LLC. John serves on the District Export Council, and is a graduate of Western Michigan University. Led By: Meet with Directors & Representatives of Michigan's overseas network! Kendra Kuo has been working with the U.S. Department of Commerce to help U.S. businesses grow sales through increased exports since 2000. Her office, in conjugation with partner offices around the country and around the globe, provides a large array of low-cost and free government assistance programs. These programs include matchmaking services, background checks, market research, and trade missions, all with the goal of helping U.S. business to grow and create jobs. Join us for lunch to network with colleagues and learn how to connect to with these important resources! China is the third largest export market for the U.S., and China is Michigan’s third largest export market, with $3.3 billion in export sales last year. 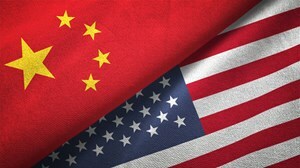 Michigan’s exports to China grew 21% from 2011-2012; is your business part of this growth? Mr. Ning Shao will present a brief history of China’s reform over the past 30 years and China’s five-year plan, and why they matter to Michigan. He will cover eight lessons for doing business in China, as well as potential business opportunities and challenges in China for Michigan businesses. Led By: Graceland Fruit, Inc.
8:30am Workshop 12:00noon Luncheon For the fourth consecutive year, the Global Business Club is pleased to welcome the Michigan Agricultural Exporter of the Year as part of our spring speaker series. As one of the largest dried fruit producers in the world, Graceland increased their exports 40% in 2011, and has experience exporting to 42 countries. Our morning seminar will address issues of interest to all companies interested in exporting, including discussions on choosing the right international partners. We look forward to seeing you there! **Please note this is an evening program** 5:30pm Cash Bar & Registration ($35) 6:30pm Welcome & Dinner Served A seasoned professional with more than three decades of global general management and finance experience, Michael Lawton was named Chief Financial Officer of Domino’s Pizza Inc. in September 2010. As the financial leader of the publicly traded entity (NYSE:DPZ), he is responsible for financial planning, analysis, public reporting, treasury and risk management and for creating shareholder value. Lawton joined Domino’s Pizza in 1999 as head of finance for the company’s international division, and in 2004, he took the reins of the division as executive vice president. Under his leadership, the division drove a retail sales compounded annual growth rate of 12%, and added more than 1,100 stores in both existing and new markets around the world. The division accounts for over 45% of the company’s global retail sales, and is among the strongest international models in the restaurant sector. For 13 years prior to joining Domino’s, Lawton held several roles with Gerber Products Company. A certified public accountant, Lawton holds a B.A. in accounting from Michigan State University and a MBA from Grand Valley State University. Lawton, his wife Janet and two sons reside in Ann Arbor, Mich.
Mr. Foley is a frequent speaker on issues of international trade and teaches International Business courses at Bradley University. 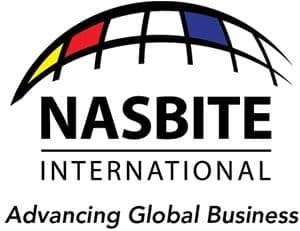 He is a Past President of NASBITE International, and now serves as the Director for the NASBITE Certified Global Business Professional (CGBP) credential. He was elected Chairman of IATTO – International Association of Trade Training Organizations during the 2004 IATTO Forum in Cape Town, South Africa and is also chair of the Association of Small Business Development Centers (ASBDC) International Interest Section. Mr. Foley is the author of the book The Global Entrepreneur discussing techniques to expand international trade for small to midsize companies. First printed in 1999 and now in its second edition, numerous colleges and universities have adopted the text for undergraduate and MBA international business courses. The book has also been used by thousands of readers to expand their international business. Prior to joining the trade center in 1994, Mr. Foley lived and worked in Europe for seven years. 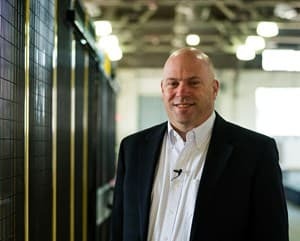 His overseas business experience includes positions in marketing, sales, and corporate management in the computer industry.Before London, Jim worked in Los Angeles in the software industry, and also lived in Mexico City where he earned a Spanish proficiency certificate. Note this training is by invitation only. 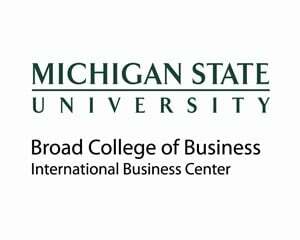 Please direct questions to Jade Sims of the Michigan State University International Business Center, sims@bus.msu.edu, or 517.884.1660. On May 24th, the Small Business Administration (SBA) and the US Census Bureau/Foreign Trade Division will bring their expertise to YOU. We have put together a half-day program of information on how to begin exporting--now. You will learn how to utilize Census information to do research and make informed decisions on entering new markets, and learn how to use SBA's online Export Business Planner. Get the tools you need to feel competent in the export game! More info & registration: http://eastmichigandec.org/incoterms/ Frank Reynolds is uniquely qualified to explain Incoterms® 2010 rules to Americans. He brought nearly 50 years of hands-on practical trade expertise to the 2000 and 2010 Incoterms® revisions where he represented the United States. He has been instructing trade-related topics for over 25 years. Led By: Speakers from U.S. Census, Border Control, etc. Registration: http://www.gvsu.edu/wtw/ The World Trade Week Business Conference 2012 – Achieving Export Growth – has much to offer to both novice and experienced exporters. Join us as we hear from experts and specialists about strategies, opportunities and resources available to help businesses increase international sales. This ½ day seminar and luncheon will propose solutions to dealing with all types of risk encountered by companies that are doing business internationally or interested in starting. Professionals in the fields of trade finance, foreign exchange, private insurance and business law will be on hand. Our luncheon keynote speaker is University Distinguished Professor of Economics (Trade/International Finance) Max Kreinin. Professor Kreinin is a consultant to the Council on Foreign Relations and several federal and state agencies, and will speak on the current European economic situation and its implications for international business. This seminar will provide the information and resources to expand your customer base by establishing or intensifying your global presence! Seasoned experts will be on hand to help you address your unique concerns—from financing and government regulations to shipping products and getting paid. This evening seminar event will help you learn how to infuse your company with young, energetic, international talent and the language and cultural skills and experience to help you explore global markets. We will discuss how to make connections with student interns, and affordable short- and long-term hiring options that exist. This workshop will address the specific issues in doing business in emerging markets. In addition, speakers from the Michigan Economic Development Corporation will discuss new training and financial incentives that are now available to Michigan companies involved in exporting. Why Singapore? Why Southeast Asia? Why Now? Join us as we welcome back to Michigan State Peter Walters, friend and former board member of MSU-CIBER. His topic, "International Business Development", will inspire your professional global interactions no matter what stage of activity your business is currently at. Join us for a morning of discussions about the technology landscape around the world (focus: China) with speakers from the U.S. Commercial Service and local IT professionals. We then continue with lunch and keynote speaker Pedro Moya of Google. Don't miss this special addition to the calendar! Consul General Norton will highlight the many aspects of the Canada-Michigan relationship, including trade, environmental stewardship, and partners in global security. 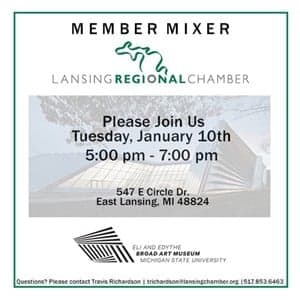 He will discuss the benefits of the New International Trade Crossing for Michigan's businesses and the importance of modern border infrastructure to meet the needs of the state's new economy. Led By: John E. Sztykiel, President and CEO, Spartan Motors, Inc.
Chuck Hadden will speak on how to help Michigan manufacturers rise above the tough economy by diversifying their business to include new customers and new products. He will share how the MMA intends to meet this growing demand & provide the information that Michigan manufacturers need to compete against the rest of the world - and win. Dan Meeuwsen is the Feed Ingredients Division Manager at Zeeland Farm Services, Inc. Dan earned a Bachelor degree in Business Administration with a concentration in Marketing from Davenport University, and is currently working towards a Masters in Business Administration degree from Cornerstone University. Dan has served ZFS for over 20 years in various capacities. Dr. Chapas is a Board member for the Center for Sustainable Enterprise at the Kenan-Flagler Business School at the University of North Carolina. He has worked with academic and industrial experts to develop products directed at the needs of the developing world. He has presented papers throughout the world on sustainable development and innovation. He is on the Executive Committee for the U.S. Business Council for Sustainable Development which leads U.S. businesses in developing projects to drive sustainable solutions, including industrial ecology and ecosystems restoration. He currently serves on the faculty of the University of Delaware, Lerner Business School, where he teaches courses on sustainability and green business. Joseph Badra is the President of International Consulting and Contracting Services, Inc. (ICCS). ICCS is a multi-faceted International Trade and Export Company located in Lansing, Michigan and has been successfully operating in the global marketplace since 1983. Originally from Jordan, Mr. Badra attended Oklahoma State University to complete both his B.S and M.S degrees in civil engineering. He currently resides in Okemos with his family. Sourcing and Selling Product in China - It's Different! Led By: Gary J. McRay, President, Foster, Swift, Collins & Smith, P.C. Becoming a Global Company - Get Moving! Greg Delawie, the director of the Economic and Energy Bureau's Office of Bilateral Trade Affairs, is a career member of the Senior Foreign Service. He most recently served abroad as Deputy Chief of Mission at the US Embassy in Zagreb, Croatia. He has also served in Rome, Ankara, and Frankfurt. Former Founder, CrossCom National, Inc.
A shrinking world, or a growing global economy? President and CEO of Wolverine World Wide, Inc.
Chairman of the Board, Shanti, Inc. The Euro Has Arrived: WHAT IS ITS FUTURE? Immigration Law in the 21<sup>st</sup> Century"
As president of Global Growth Associates, Kevin Ecclesine is an experienced senior executive who has spent most of his career dealing with overseas business development and management with an emphasis on marketing, sales, distribution and international management. He and his firm specialize in international and global planning and facilitation, market entry planning, organizational development, product development, and "in-market" implementation projects, particularly in marketing and forming alliances. 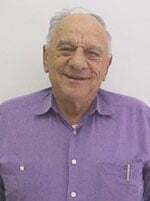 Prior to forming Global Growth Associates in 1992, Mr. Ecclesine spent six years as Director of International Marketing for Amway Corporation, where he was responsible for overall international product development. There he developed strategies to enhance overall product line profitability, manage Japanese market growth, and globalize the corporate marketing function. Before coming to Amway, the speaker was a Director in Kraft, Inc.'s Latin American management group responsible for marketing and sales. He took the position after having spent two years in Brazil for Hershey, International, Ltd., where he was in charge of its subsidiary's marketing sales and distribution activities in that country. 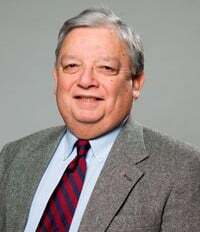 Mr. Ecclesine is a past president of the West Michigan World Affairs Council and was named Individual World Trader of the Year in 1994 by the West Michigan World Trade Association. With his extensive background, the speaker brings a wealth of international business experience to the Forum. Three Men and a Tenor got their start in East Lansing when the members were all still students at Michigan Sate University. The comical pop a cappella group has performed with such stars as the Beach Boys, Peter Cetera, Bob Newhart, Pat Boone and the Chenille Sisters. They have participated in an international music festival held in Scotland and will be participating in a Canadian music conference this December. There Men and a tenor will discuss arranging and performing entertainment outside of the United States, and distribution problems of their CDs and tapes. Carl Liedholm is the author of more than one hundred articles and papers with special emphasis on micro and small enterprises in Africa, Asia and Latin America. Dr. Liedholm travels around the globe sharing his expertise on international economies and writes books on the subject. He has taught at Yale University, Oxford University, Wesleyan University and currently Michigan State University. Carl Liedholm is a recipient of the State of Michigan Teaching Excellence Award. Dr. Liedholm will discuss the conversion to a single currency starting January 1999. Martha Johnson serves as Vice President and Sales Manager of Old Kent's international line of business. She has taught international Finance for Davenport College in Grand Rapids and numerous letter of credit and collection classes. Ms. Johnson has received a Federal appointment t the Michigan District Export Council and serves as its treasurer. 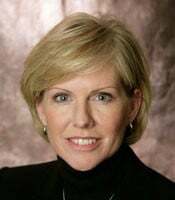 She is treasurer of the World Affairs Council of West Michigan and an active member of the West Michigan World Trade Association and the National Association of Credit Management. Don Nugent is President and CEO of Graceland Fruit , the 1997 Michigan Agricultural exporter of the Year. Graceland Fruit sells and ships its products worldwide. Mr. Nugent is president of North American Fruit Trading Alliance and Chairman of the Board of the Traverse Bay Economic Development Corp. He is a Michigan State University alumnus and an active elected member of the Michigan State University Board of trustees.